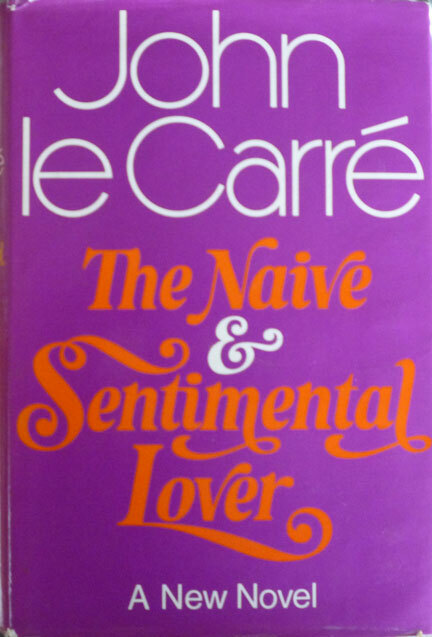 A UK hardback first edition/first impression of John le Carre's The Naive and Sentimental Lover, published by Hodder & Stoughton in 1971. 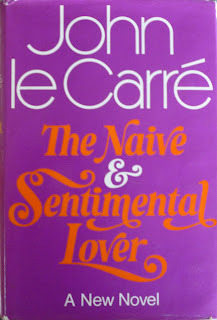 It's probably the most atypical of Le Carre's novels in that it's not set in the murky world of espionage; instead it details the complicated love life of one Aldo Cassidy, and is partly autobiographical, based on the author's relationship with a couple following the breakdown of his marriage. It was Le Carre's sixth book, coming after a run of hugely successful spy thrillers, and judging by the dustjacket blurb Le Carre's publisher was at pains not to alienate his legion of fans. "The Naive and Sentimental Lover is not a breakaway book," runs the back flap copy. "In describing the agonising night-walk of a man caught between the two sides of his aspiring nature, John le Carre has lost nothing of his skill in narrative and suspense. But in the humour, the pain and the love with which he relates the rise and fall and striving of Aldo Cassidy, we witness the full flowering of his talents. This is a marvellous and magnificent book." 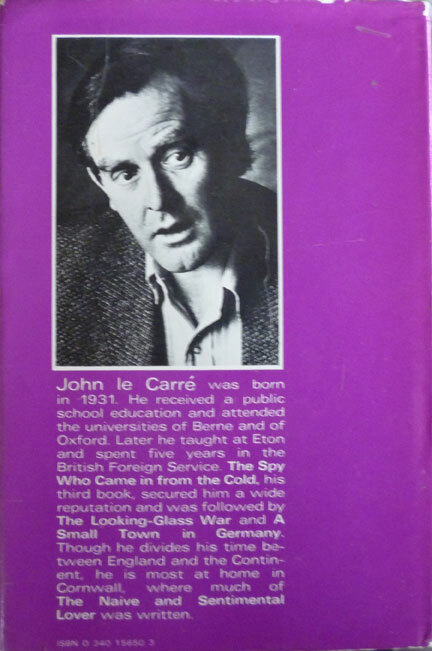 Le Carre himself apparently disagrees these days: in 2008 he described the novel as a "toe-curling embarrassment".